Dispatched within 2 weeks of receipt of the ashes or sand. 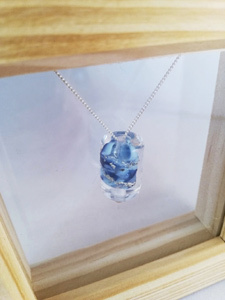 Beautiful eternity glass bar bead immortalising your pet's cremation ashes into a wonderful ash infused glass memorial bar hung inside a deep display frame. Each eternity bead is lovingly forged from stunning coloured glass, encasing your pet's cremation ashes which can be seen preserved inside the glass surrounded by light and colour. Turn a difficult time into something beautiful. 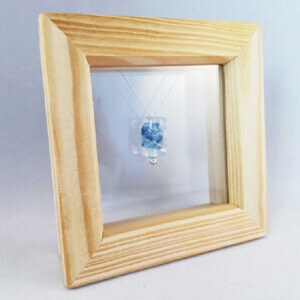 Memories preserved forever in these high quality glass keepsake creations. Precision, care and respect goes into the creation of each glass memorial at the Glass Butterfly Studio in the UK. A stunning keepsake of your pet or loved one. Each handcrafted quality glass bar bead is made using a skilled process called lampworking which uses a high temperature torch to melt glass at over a thousand degrees Celsius. 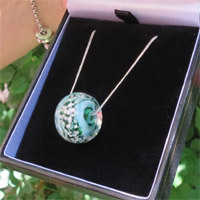 The beads are then cooled overnight in a special kiln which makes them strong and durable. The glass eternity bar is approx. 20mm long x 15mm diameter. There are a wide range of stunning colours to choose from. 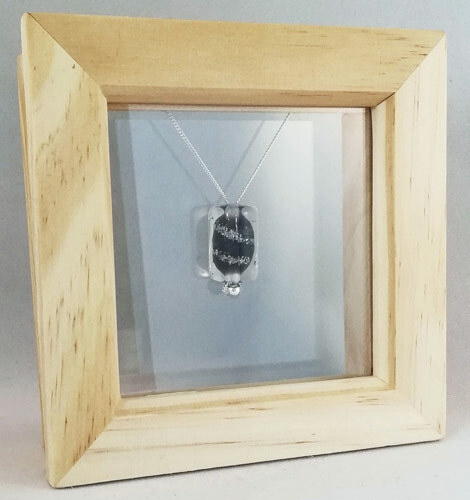 Your ashes memorial is displayed inside a deep wooden frame with glass front and back, hanging from a sterling silver chain inside to give a 'floating' display. 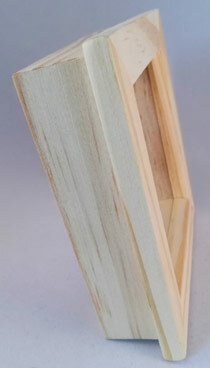 The display frame is 12cm x 12cm x 3.5cm and is self standing or can be wall mounted. As well as pet ashes, you can of course preserve the ashes of any loved one in these wonderful glass memorials. If you don't have your pet's ashes, you can preserve the earth soil or sand from their favourite walk or a special place. These beads also make gorgeous mementos, encasing for example the sand or soil from a special holiday, a wedding or honeymoon. Beautiful. 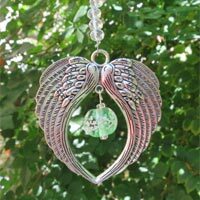 Made by the official creators of the original Eternity Bead ashes infused glass memorials - a family run business motivated to helping others experiencing loss. Accept no imitations. Once you have placed your order, a pack will be sent out to you which will include everything you need to send either ashes, soil or sand to be preserved inside your glass ashes pendant. Less than half a teaspoon (1ml) of ashes/soil/sand needs to be sent in the vial provided. 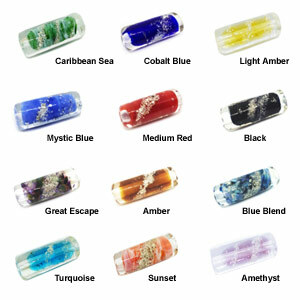 If you would like a blend of soil, sand or ashes or two pets in one pendant please select '2 vials' in the dropdown box when you place your order. Crafting time is approx. 2 weeks from receipt the ashes at the studio. Any unused ashes will be returned to you along with your eternity jewellery. For every bead sold, a £2.50 donation is given by the makers to the NCTLC Trust charity - a children's cancer charity dedicated to supporting families living with tumours, leukaemia and other cancers.